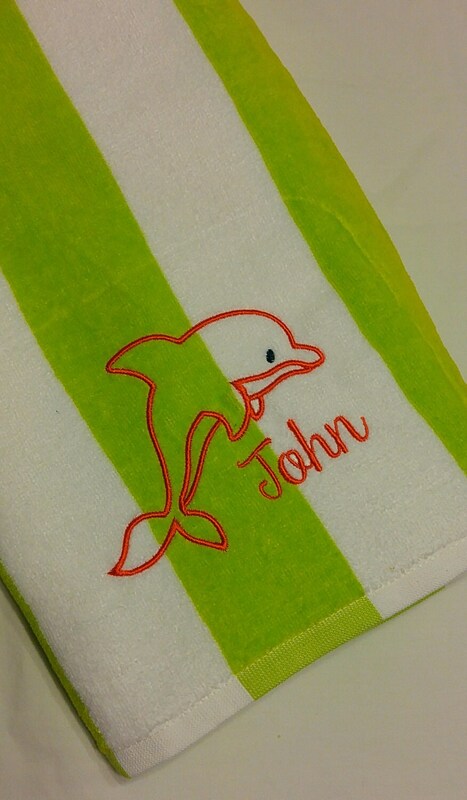 This fun towel features a fun dolphin with an embroidered name below in a typewriter all lowercase font. 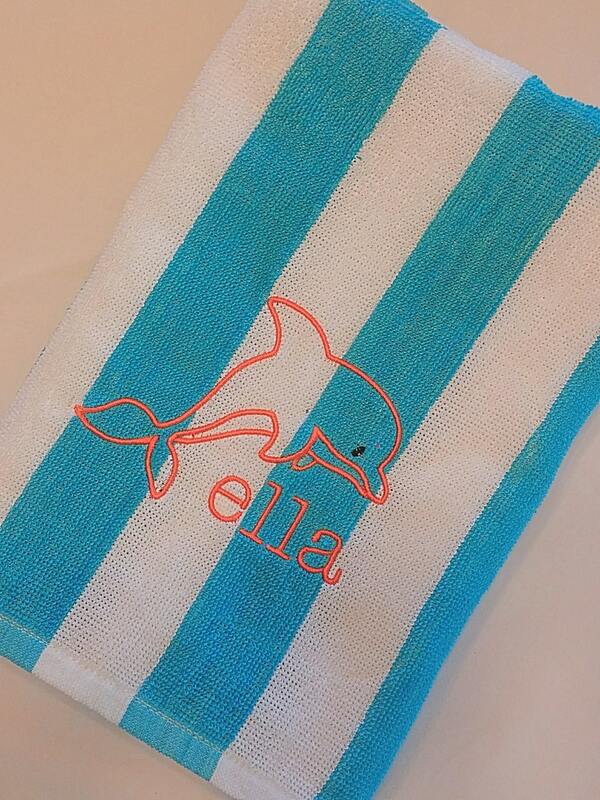 Sample is in the aqua stripe. Default color for design is orange. Received my item today and I absolute LOVE it! 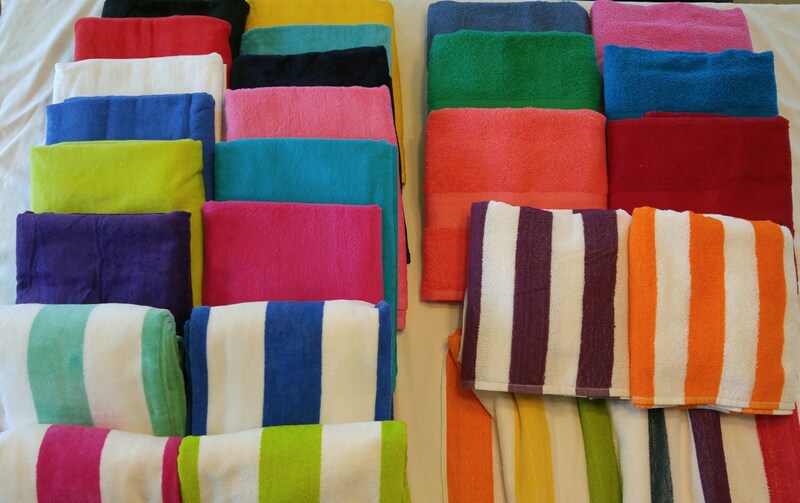 Very great quality! Will definitely order from here again!! 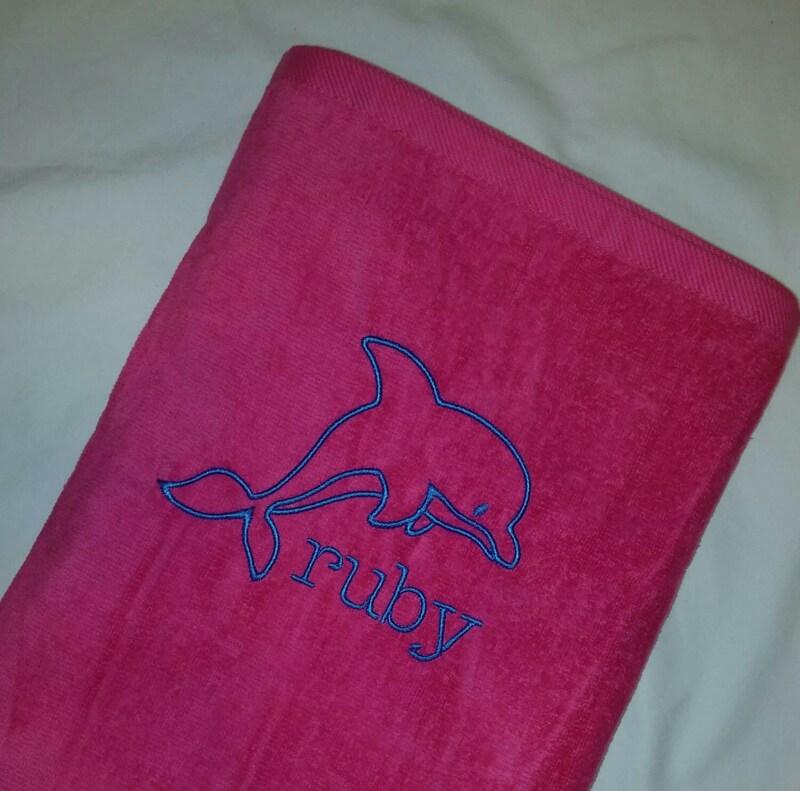 Beautiful quality and excellent embroidery! 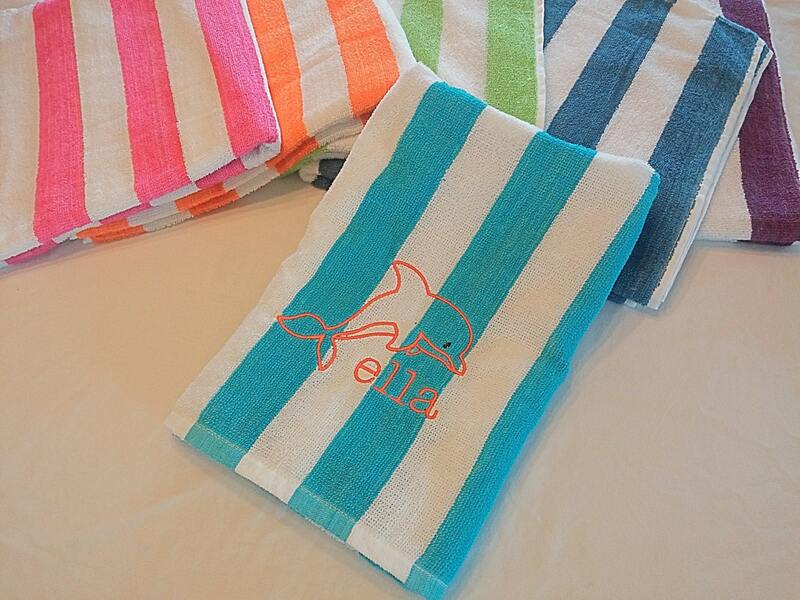 Love the towels! Prompt shipping, and nicely packaged. Will make great gifts. Thank you! !